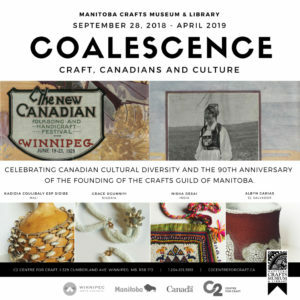 Many Moods of Manitoba is a collection of fibre art pieces that are Selby’s interpretations of scenes of Manitoba. 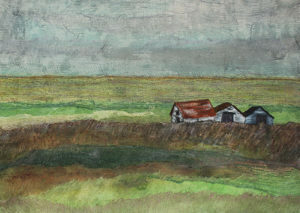 Living in Manitoba, she has come to love and be inspired by the prairie vistas. Large views of endless skies, boreal and aspen forests, as well as closer views of trees, grasses, flowers and leaves are the subjects she desires to interpret in her art. The quilts are created using three-layer construction, consisting of front, batting, and backing held together with thread stitching. Selby employs other fibre techniques including: dyeing, painting, layering, raw edge appliqué fusing, couching yarns and ribbons, cheesecloth application with plenty of hand-stitching and machine-stitching techniques.